Bread and circuses. As a state election looms the advertising has intensified temporarily in line with all other previous elections and much of it seems to be not very clever or original. To put it bluntly, our major political leaders and their parties display a distinct lack of imagination matched only in extent by their political cunning. Is this because electoral strategists themselves believe that what matters more is that repetitiveness is the most effective strategy? Were one to consider the most important daily issues actually confronting Western Australians, as opposed to the issues nominated and campaigned on by the various political parties, we would discover relatively little overlap. Western Australia has increasingly become a mono-industrial economy and culture tied to the resources boom like an individual who rides a tiger. This is an extremely serious situation, exposing WA to serious financial risk of the kind traditionally associated with boom-bust economies. And yet none of our political leaders appear to have given the creation of this situation any serious consideration, much less planning for such a contingency should it arise. Among the social problems are the creation of a fly-in fly-out culture which separates breadwinners from their families for most of the year so that numerous Western Australians are faced with the daily life of being a relatively wealthy family but also a weaker one where parents are separated for long periods of time from their children. This is actually a serious problem because it contributes to the weakening of marriage, our social fabric and the dislocation of families. We are a state with a culture of social problems which seem at odds with the wealth of the state including serious rates of violent crime in the suburbs and regular exhibitions of bored youth for whom membership of a family often degrades to little more than an arrangement of convenience for the duration. Binge drinking – to take only one example – among young people, regarded only decades ago as the sign of a serious personal problem or weakness, is now a regular feature of teenage suburban life, leading in its turn to a multitude of other serious social problems. 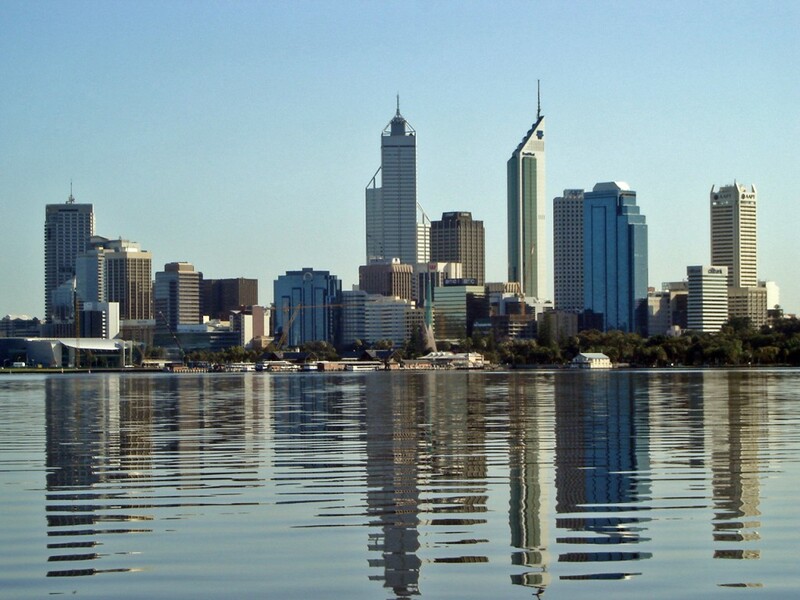 Perth expands and expands by the month but nearly 200 years after the establishment of the Swan River Colony, Western Australia is almost totally defined by the metropolitan city limits between the northern and southernmost suburbs of Perth. The dangers of a mono-economic state are clear. The financial security of the future has been successively sacrificed in the interests of short term gains so that there is no clear and consistent policy driving the promotion of the economic diversity so essential to a truly vibrant and secure future. Instead, the default policy setting for successive Labor and Liberal governments has been de facto acceptance of the inherent supremacy of the market and its corporate drivers as the ultimate determinant of the future, despite the fact that neither the market, annual shareholders’ meetings or company directors care one whit for the welfare of the people of the state and will, if necessary, shut down entire towns in their own interests. Western Australia is supposedly a wealthy state and yet there is now almost no such thing as a family wage. Families everywhere are instead forced to sacrifice their desire to be a family in the normal or traditional sense to the necessity of having both parents working in full-time or near-fulltime work in order to achieve the traditional goal of home ownership. Once again, children suffer – but so do mothers who would prefer to be at home while their children are young. Childcare centres abound only because of the enormous pressures now placed on ordinary families. Ordinarily, this would be regarded as social and demographic foolishness but for Western Australia it is considered normality. Successive generations of state governments of either major political party have accepted this state of affairs as a fait accompli when the situation is begging for original solutions that might inspire others elsewhere. We may well ask: given the massive wealth of the state why is it that no-one seems capable of proposing new and innovative solutions in the interests of families and of the family unit? Why is it that no-one seems to have the imagination – or courage – to reject mere conventionality? The answer, all too often, seems to be a simple lack of imagination indicating an ingrained and deeply entrenched political mediocrity. Paradoxically, the possibilities for a government in this state are immense and almost unique in Australia. The possibilities for regional development in a state of this size and with one of the greatest concentrations of natural resources in the world should be almost limitless. Instead, this election is less a choice than another unremarkable occasion that got in the way of the future. All of which means that we are waiting for someone with vision, willing to tackle the problems.